Weightless fishing and high visibility line. 1. Do you use high vis line fishing weightless? I really should, I'm just too lazy to do so. I posted that I have been working on fishing weightless for Bass as of late. In calm waters its easy to watch the line to see if it suddenly speeds up or changes direction, but with even a little chop on the water, my green power pro becomes very difficult to see. Does anyone use high visibility line? If so, how much does it affect the bite? What would you recommend? I'm thinking of using high vis line with a good strong florocarbon leader...or a leader of a less visible line. How long a leader would you tie on? You can also look into the different coloured markers you can run down the last few feet of your line.Change to any colour you desire. Great topic as I was wondering the same thing. I would also want to know what pound leaders are used, as I have a patriarch 9525 rigged up with 3 pound red power pro. I'm guessing I would have to use a pretty light leader on this rod as well, just to be able to match up to the small diameter of the power pro. Cliff, this is a no brainer for the style of fishing you are doing. Hi vis line, 2 or 3ft lead of fluoro. I tend to use a leader as long as my rod. It allows to a number of reties before having to change my leader altogether. Greg, pricey, but have a looksee as the Dragonfly fluoro. It will do the trick. I rarely watch the submerged line. Once you understand the rate of fall of the bait youre using, watching the line above the water becomes second nature. 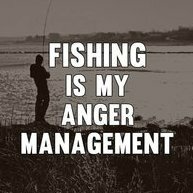 That being said, if im using one rod or the other, im spooled up with either 10lb vanish transition in gold or 12lb fireline with a 6' fluoro leader. Feel is transmitted just fine through that length. Thanks Harrison...think I will get some yellow powerpro with a leader and keep a bass rod rigged at all times. Thanks Jigger. I am watching the line above the water as well...I was fishing in wind and the chop on the water this past weekend...with the boat drifting fairly quickly made it very hard to see my line two feet in front of me. I typically do that too! The weighless hits are where I need a little more help. I am finding my eye sight is getting poorer this year so I switched to 10 and 20 lb hi vis yellow PP. I don't think it hinders my hook up rates. I still use a 3ft minimum 10-17lb flouro leader. Harrison can vouch for the catching abilities with this set up. I use Power Pro (Yellow) and color it with a black or brown marker. I usually do 3 colors for depth while im scoutin mat or slop to get that desired 2-3 fow under the junk. That way I get the productive spots n that spot. I love to use the hi Vis with floro leaders in clear water and I usually let the line sit crumpled up so to speak so I can see that subtle strike. Great technique in windy situations. I use tracer braid on my senko rod and it does help but it's never going to be easy to see your line when there's chop. You just need to find different ways of figuring out when your getting hit and not always count on being able to see it. 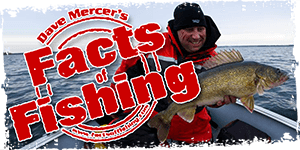 A could tip to fishing senkos or other weightless baits in the wind, is to keep the wind directly at your back. This helps alot when trying to watch your line as well as feel the bite. I love to use the hi Vis with floro leaders in clear water and I usually let the line sit crumpled up so to speak so I can see that subtle strike. Great technique in windy situations. I use this exact technique even on calm days! I've been using 15 lb. Spider thread high vis with a 15 lb. flouro leader at least 4'. Can still feel everything and my success rate this year has been great. However, I don't watch the line that much and fish more by feel . Use it on the baitcaster reel, on the spinning reel that I use for shorter , more precision casts I still use Spider thread but not high vis and still use the same 4' leader but since I'm fishing little holes closer to me , don't need the high vis. Ya, I smoked them with it!! Ha, actually, I was running straight Flouro and Ron was smoking them with the set up above. I sometimes use fluoro-leaders, but if I break one off, I usually retie straight to the braid. For several years I used Red PP in 10# test for weightless worms. The red seemed to show-up pretty well against the clear or slightly tannin tinted waters that I fish. I switched to 15# Tracer when it came out, and still have that on a couple of reels. This year I am using 10# Suffix 832 on one reel...Sometimes with a short leader...It is hard to see, but I tend to use that rod with a float, for Crappie etc. In a retro moment last week I spooled up a reel with 8# Fluorocarbon...It was as curly as heck and I broke off a huge SMBass on Sunday...In disgust I replaced that reel with a spare that was loaded with Tracer. If the bite is tough, I will add a short fluoro-leader, but day-in-day-out I don't think the fish care as long as the bait falls naturally. If you want to use a leader, learn the Albright knot. It's easy to tie, makes a very small knot and doesn't pick up weeds etc. like the Uni-Uni. Thanks Ron...I will be finding some high vis line asap! That's a great idea marking depth like that! I've been watching the "coils" on the surface for sudden movement changes...I'm not great at feeling the hits which is why I switched up. Thanks Garry2Rs! I was hoping you'd chime in on this! Just checked out the Albright knot...looks pretty easy to tie!